Get your day going with a green smoothie that tastes like a trip to the tropics and helps you look great in whatever swimwear you'll be taking to the tropics! Keeping it vegan and keto friendly is just a bonus! Let’s talk about healthy fats. Did you know that the avocado has more potassium than a banana? That is just the beginning of all the awesome things an avocado can do for you! They are also packed with fiber, vitamin k, vitamin c, vitamin e, and vitamins b5 and b6 too! 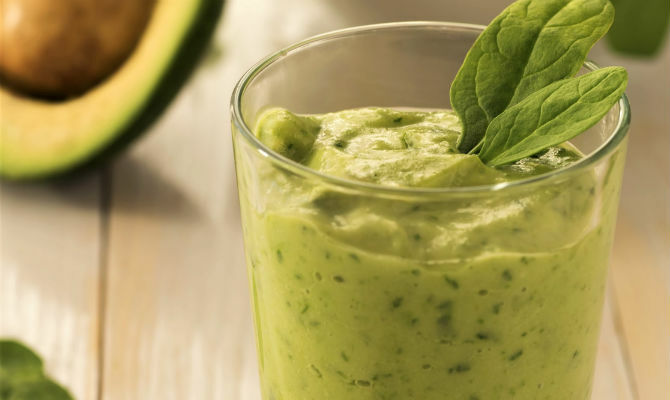 The thing avocados are famous for, however, is the abundance of healthy fats! It contains oleic acid which is a monosaturated fat that is heart and brain healthy. Oleic acid reduces blood pressure, burns fat, repairs brain myelin, and so much more. Keeping your body in its best shape is obviously something you care about. The avocado helps make that job a whole lot easier! Enjoy your smoothie!